Summer 2017 was a blast- what an incredible few months. We wish we could rewind and do it all again! We had a pretty awesome bunch of Stinters and it’s with great pleasure to introduce Lauren Ponsi. Lauren interned at Pure Results Bootcamp, where she got lots of first-hand experience in marketing and PR. 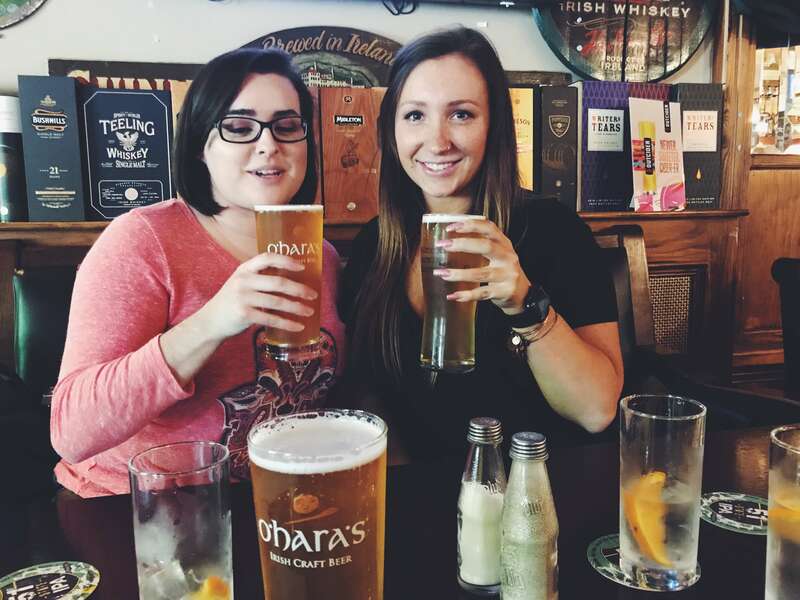 Lauren provided us with a little insight into her internship experience in Dublin. Tell us why you chose to do an internship? I wanted to gain real world experience in the degree field. The country is beautiful, the people are so friendly and the CRAIC (see here for urban dictionary explanation!). If you could give future intern abroad participants one piece of advice, what would that be? Don’t be afraid to venture on your own, sounds scary, but you find the best treasures when it’s just you and yourself. When you’re crossing the street, cars will actually speed up! Like “Hey mate, I would have crossed in plenty of time but you had to speed up and now I broke a sweat from the mild jog!’. And of course, the most important question of all- tea of choice (Barrys or Lyons)? Lauren recently graduated and will be returning to Ireland (and Stint) as a gap year participant in 2018. Catch Lauren over on Instagram (@laurenmarie), where you can follow both her internship and gap year journies!